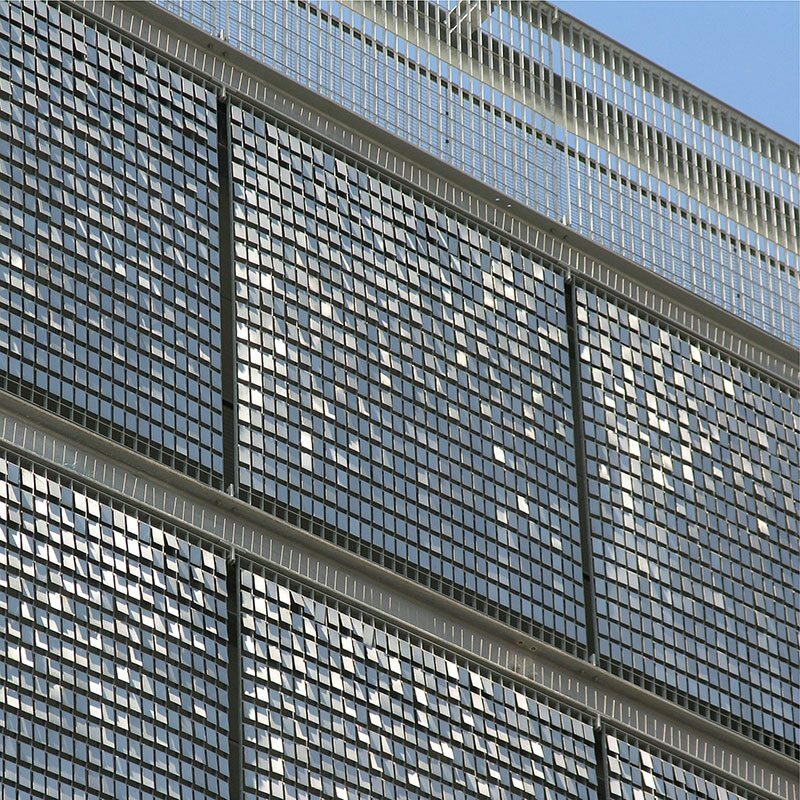 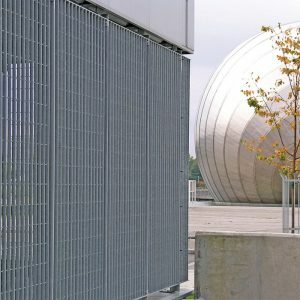 Stereo-kinetic is an articulated façade which changes dynamically, made up of freely-moving stainless steel sheets suspended from open mesh grating panels. 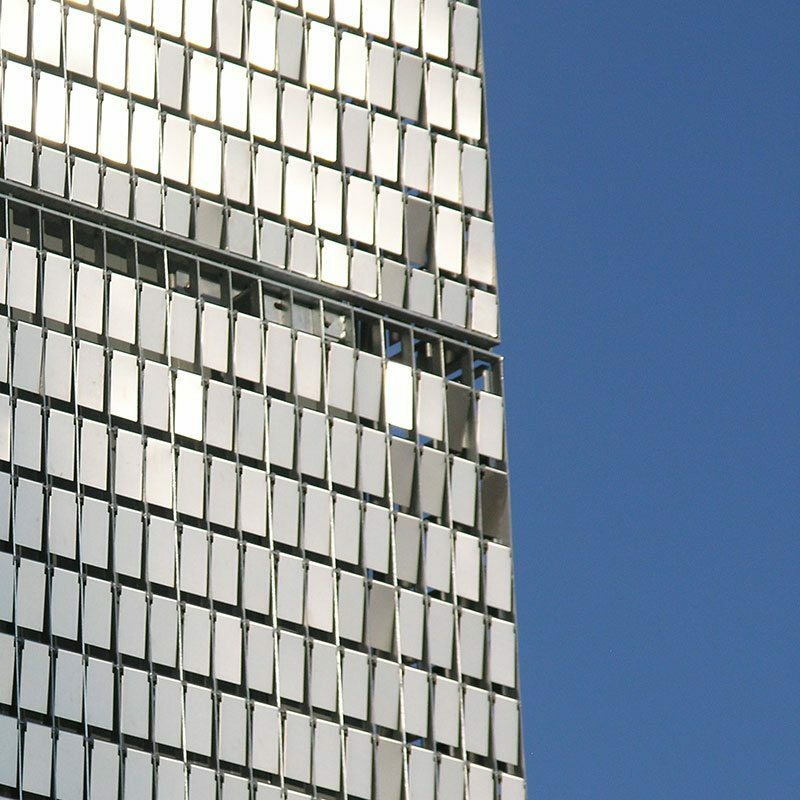 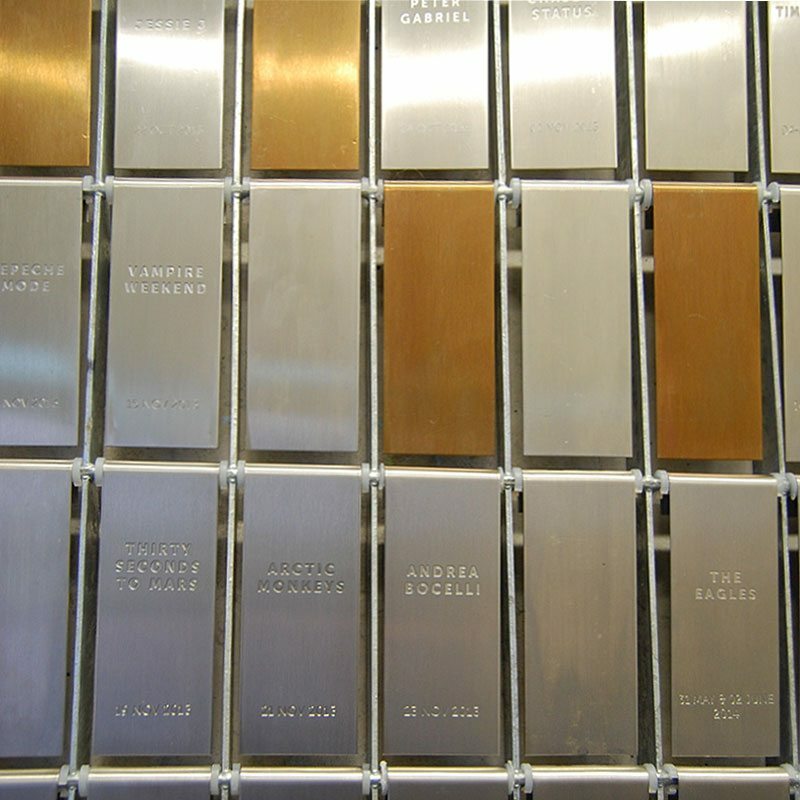 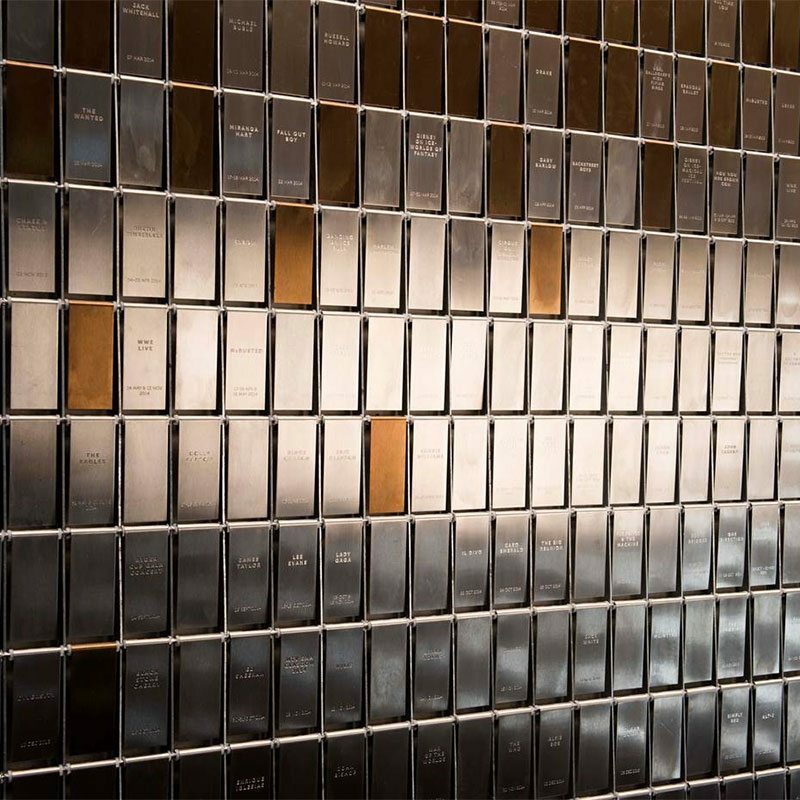 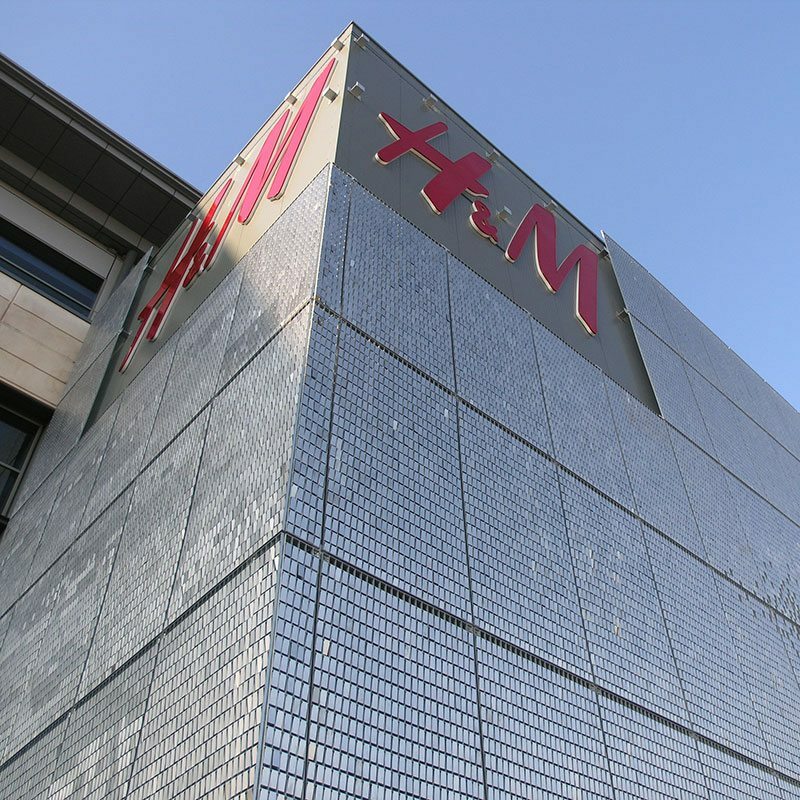 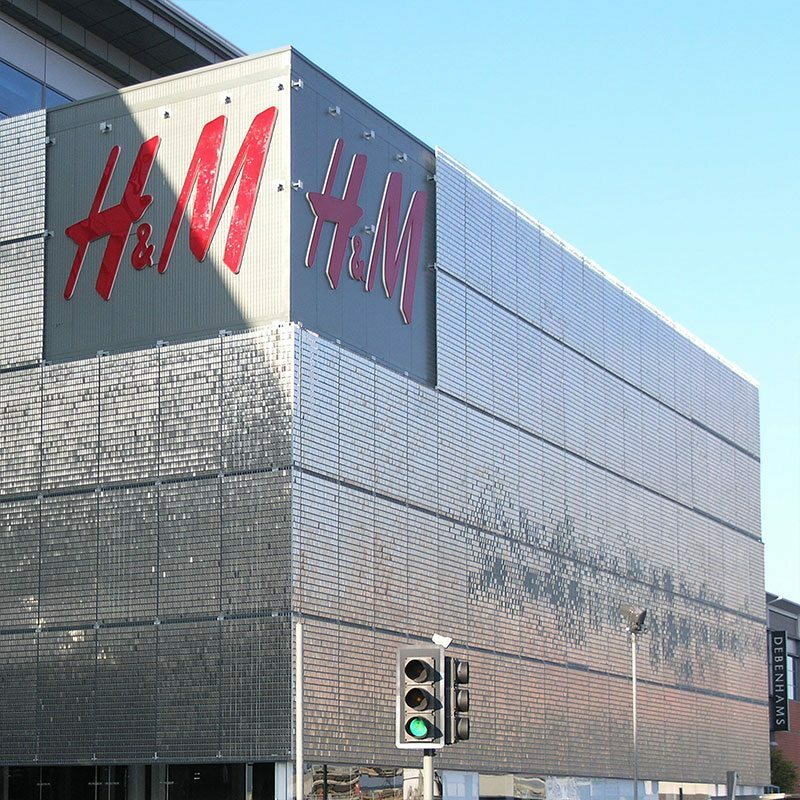 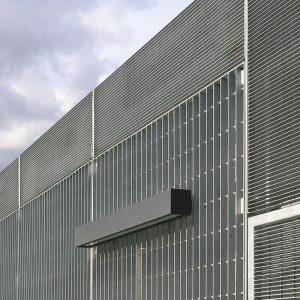 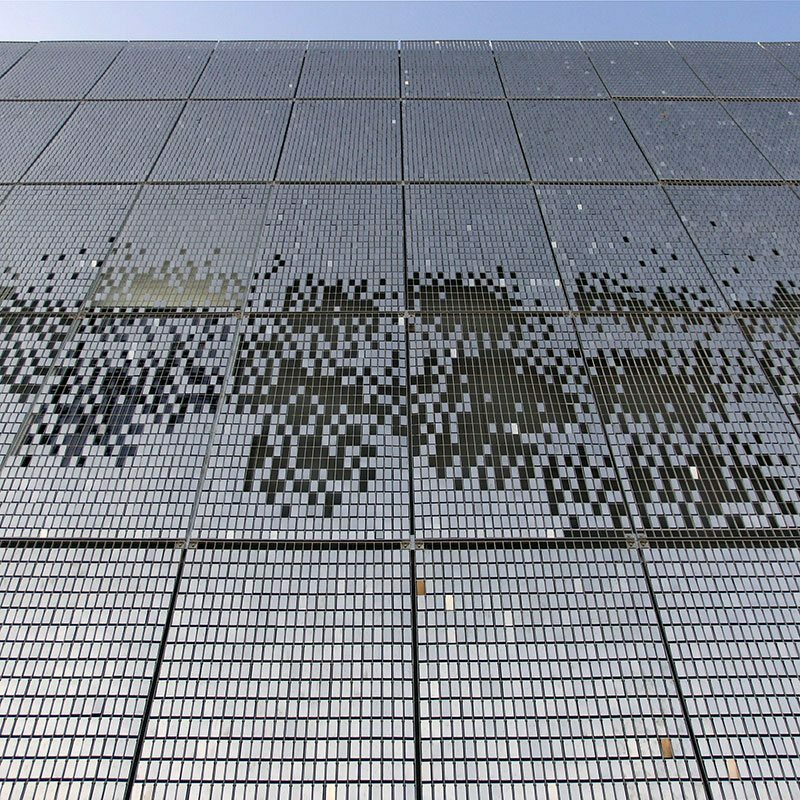 It creates a strong aesthetic as gusts of wind and passing traffic cause the metal rectangles to ripple in an ever-changing display, a playful rhythm of reflected light. 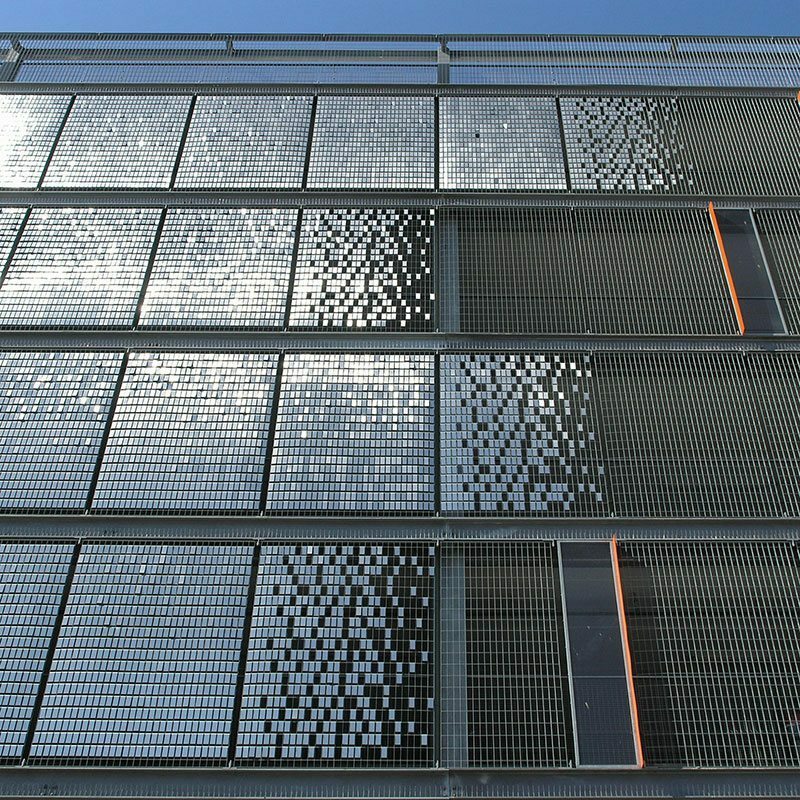 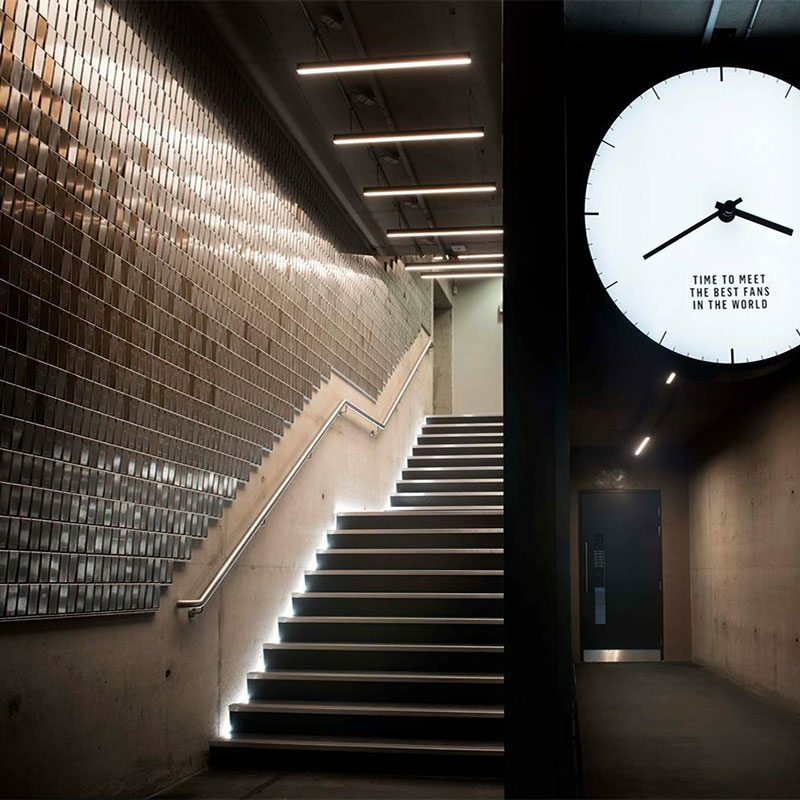 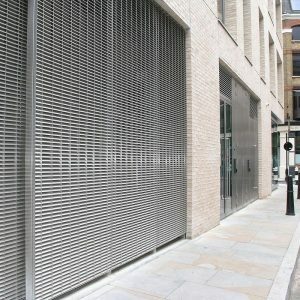 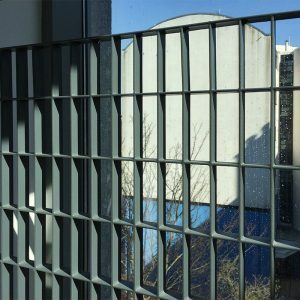 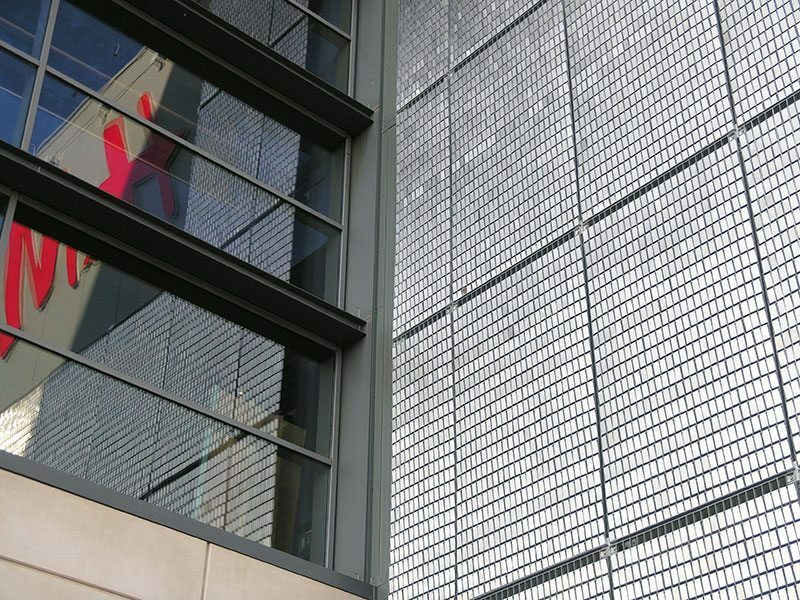 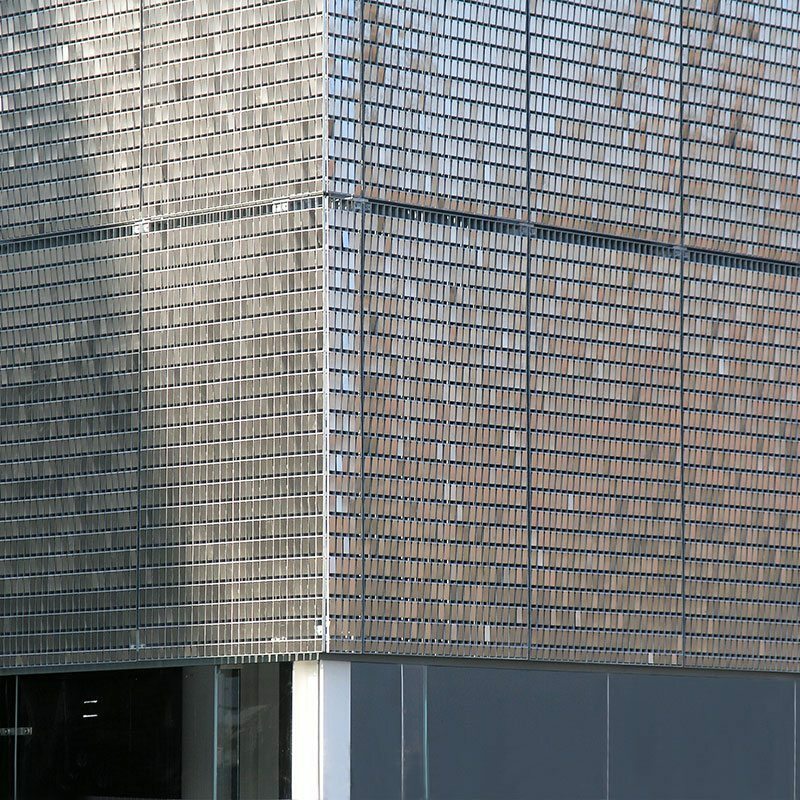 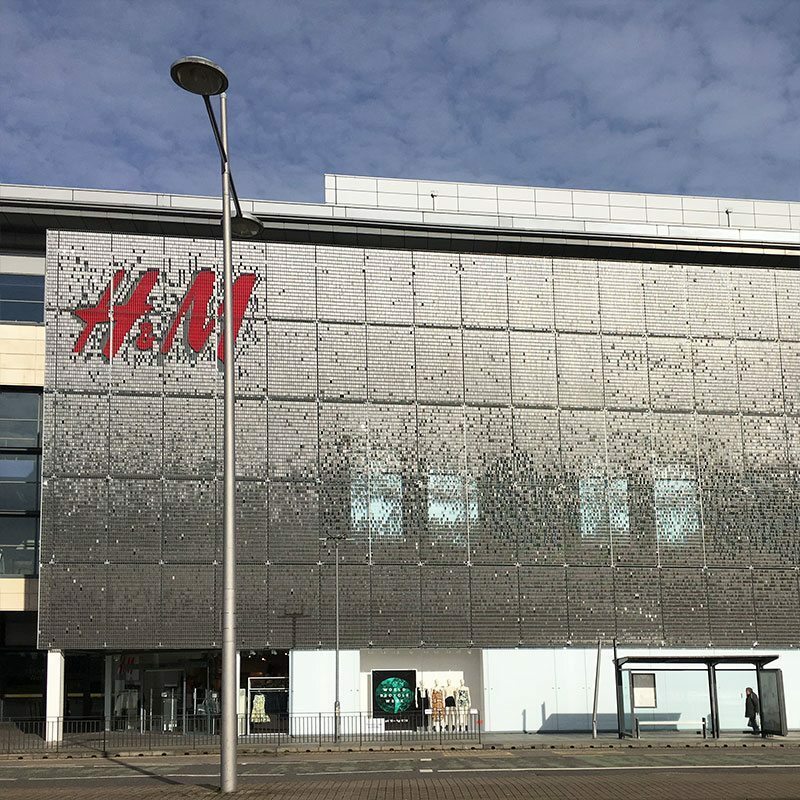 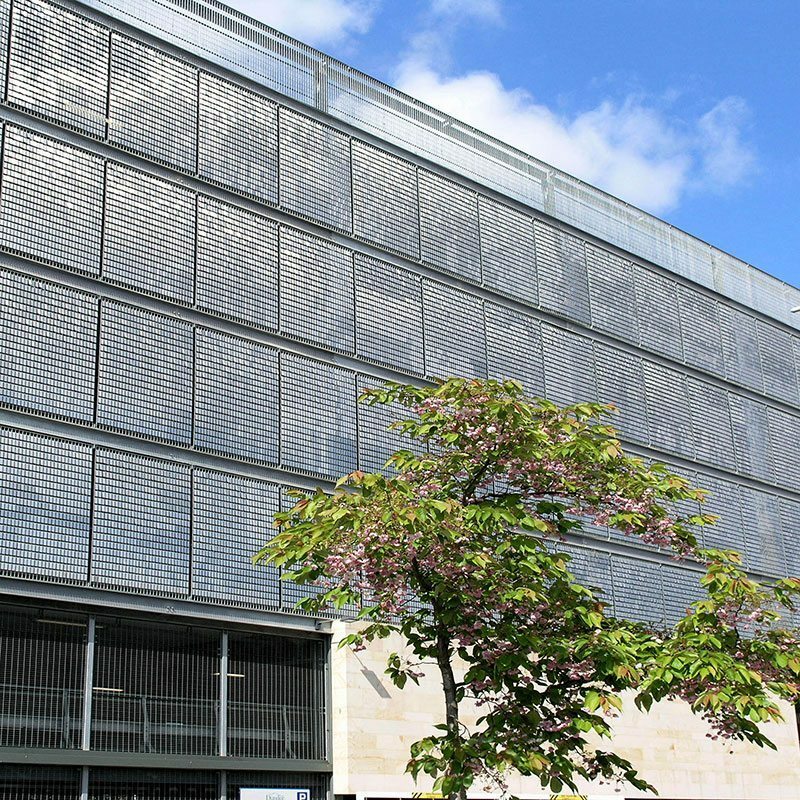 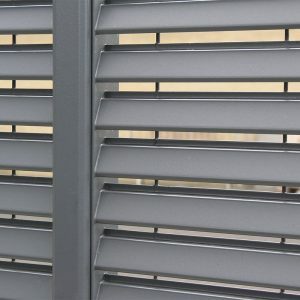 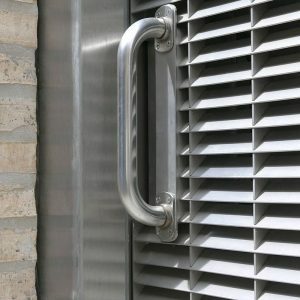 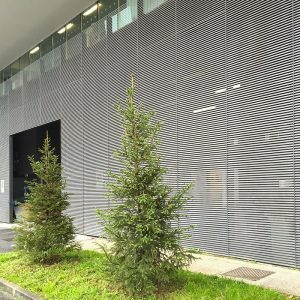 The kinetic artwork can be installed as a continuous facade or designed in a pattern which can allow the passage of natural daylight to an underlying window opening.